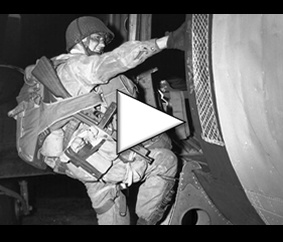 You will find on this page all the archives of the year 2017 from the historic areas of Normandy, from the landing beaches to the drop zones of Operation Overlord, and through the battlefields of the 1944 battles in the Calvados, Manche and Orne counties. Immortalized by an American photographer in August 1944 facing the ruins of Saint-Lô alongside his brothers Jean, Max Robin died aged 86. 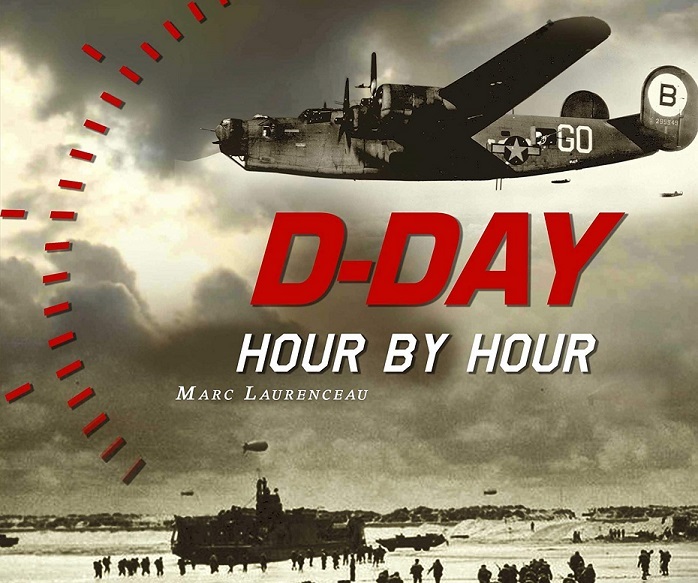 The D-Day Experience museum in Saint-Côme-du-Mont will be enriched by a 4k movie theater on the occasion of the 75th anniversary of D-Day. As part of the 74th anniversary of D-Day, the choice of international ceremonies fell on the municipalities of Merville and Ranville in Calvados. The site of Hill 112 was the scene of fierce fighting in June and July 1944 between the Anglo-Canadian troops and the German forces. An American-made Sherman tank, recovered at Falaise in January 2017, should be placed in front of the Civilians Memorial by 2019. The project of the Franco-British Center in Ouistreham (Sword Beach) was presented by the City Council, which plans to offer it to the public in November 2019. The 73rd anniversary of the end of the Battle of Normandy was commemorated at the Montormel Memorial in the presence of allied veterans. A veteran of the Second World War has been pretending to be a Ranger for several decades who has participated in the Pointe du Hoc assault on D-Day. This week he decided to admit that this was not the case. On August 19, 2017, France remembers the allied raid of Dieppe on the occasion of the 75th anniversary of this military episode, the lessons of which were particularly useful for the preparation of Operation Overlord in Normandy. For the 11th consecutive year, the community of Courseulles-sur-Mer lives in the colors of Canada as part of the Acadian Week Festival. The American photographer John Morris, veteran of the Battle of Normandy, died at the age of 100 in Paris. The family of an American veteran seeks to identify a young Norman in a picture of June 1944 taken during the Battle of Normandy at Trévières. May 21, 2017: 73 years later, a veteran of the Battle of Normandy finds his curb back! 73 years after the landing of Normandy, an American veteran present at Omaha Beach on June 7, 1944 found his curb that he had lost back then. A film about the Battle of La Fière, from the book of an American veteran of the 82nd Airborne Division, Robert M. Murphy, is scheduled to be released in 2019. The new museographic space is preparing to welcome its first visitors on Friday, May 19, 2017. Bryson William Verdun Hayes, a British veteran of the Battle of Normandy, became the oldest person in the world to have perform tandem skydiving. April 23rd, 2017: American Scouts federate on Omaha Beach. More than 4,000 young American scouts gathered at Omaha Beach this Saturday, April 22, 2017. This is the eighth gathering since 1994. April 13, 2017: An original landing craft discovered in Normandy… then destroyed. A stroller discovers by chance the remains of an English landing craft on the beach of Merville in Calvados. But against all expectations, the municipal services preferred to get rid of it.